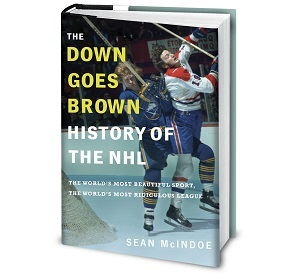 Down Goes Brown: Why are Canada's NHL teams so terrible? Last week, to great fanfare, preliminary rosters for the 2016 World Cup of Hockey were unveiled. And as usual, Team Canada stood out as being ridiculously stacked, boasting so much talent that the biggest story were the perennial All-Stars who wouldn’t make the cut. It was a nice moment for Canadian fans, one where they could feel good about the nation’s hockey prowess. Then the NHL regular season resumed, and those feelings immediately vanished. Because as a glance at this year’s standings will confirm, Canada’s NHL teams are terrible. So what’s going on? How can all seven teams from a hockey mad nation be so bad at the same time? There are a handful of theories, some better than others.